The last Scania PGR series truck rolled has off the assembly line at the Scania Regional Production Centre in Port Klang. Scania Malaysia has produced and sold more than 2,500 units of the Scania PGR series trucks since they were first introduced in the country in 2008.
introduced in 2004) and G-series (introduced in 2007) trucks offered powerful performance and increased fuel savings that helped Scania customers attain the best profitability during long-haul operations. 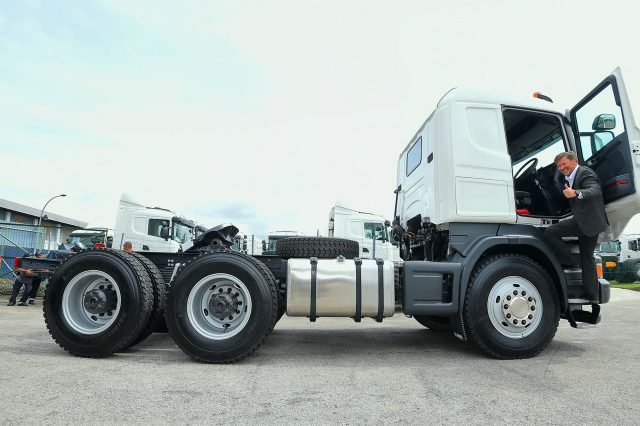 Owners of the Scania PGR series trucks need not worry however as the phase out will not impact their existing vehicles which can still be serviced as usual at Scania service centres. Scania’s PGR series has provided the best especially in terms of the improved fuel economy, enhanced safety and performance, higher uptime and being environmentally friendly. 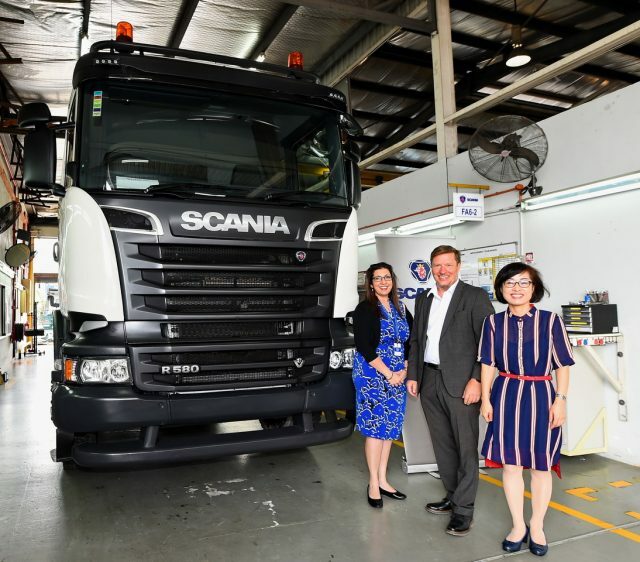 Nevertheless, this remarkable truck rolled off the assembly line here today marks the end to an era which has given Scania a strong foothold in Malaysia’s commercial vehicle industry. The new truck generation from Scania, soon to be launched in Malaysia, will mark the beginning of an exciting era for Scania and our customers. It will provide even better fuel economy, improved performance and cab safety, increased uptime and reduced CO2 emissions, following from the legacy of Scania’s PGR truck series.